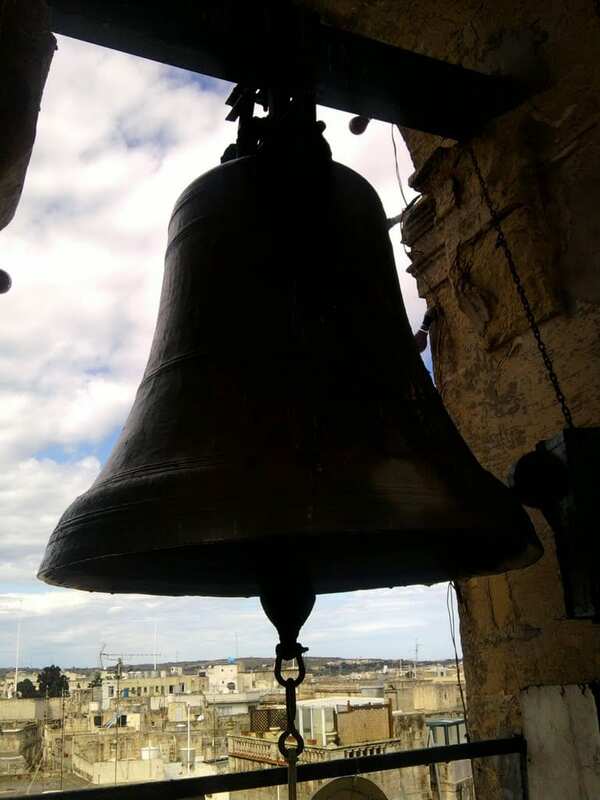 Malta’s largest bell on St Helen’s Church, Birkirkara. The events of Friday the 13th in Paris did not surprise me nor shock me. After all, it was obviously on the cards, a certainty to happen, the only uncertainty being the where, and the when. It was as inevitable as a sunrise and a sunset. Europe and the West laid their own bed and must now lie on it. This is the result of years and years of indifference and neglect and is an endless and indefinite chain of which we are just at the beginning. The myth is that we learn from the lessons of history but this is not true. We learnt nothing from 9/11, from London, from Madrid, earlier from Paris and now Paris again. The Roman Emperor Nero is reputed to have played the fiddle while Rome burnt away. This of course did not happen and is not true, just one of those many useless “facts” that we learn at school. However, what is true is that the West, and indeed the world, has hummed, hawed and fiddled but has not done anything and now it reaps the fruits. Take the EU-African States Summit which ended in Malta on Thursday, 12th November and which in any case was totally eclipsed by the events of the following day. What actually transpired from the Summit? In a nutshell nothing at all – just a lot of hyper-talk and a media-hype circus and a good time was had by all with a lot of smiling and back-slapping. As for the real facts at stake, these remained exactly as they were before the Summit with the embellishment that African States are to be given an additional €2 billion euro and only God knows where that money will go. On Saturday morning that is 14th November, the world and its leaders fell over themselves in great expressions of grief, remorse and attempts to out-do each other in the use of superlatives. They could have saved their breaths because many, many more occasions will follow and the superlatives will become hyper-superlatives and then even greater hyper-superlatives. John Donne also wrote Utopia…and for whom the bell tolls. We all stood in solidarity for the day, held hands, sang the Marseillaise, lit candles, laid flowers and carried on with the day’s graft. HOWEVER, what did surprise me is this. In today’s world of continual internet surveillance, decoding, website hacking, satellite espionage, compilation of data of which the vast majority are totally unaware of and so on and so forth, an organisation can so meticulously plan and execute an operation with the timing and precision as the Paris bombings and execute it efficiently and effectively. Minute-by-minute the world is being transformed into a tool of robot control, yet this was a classic case of humanity by-passing and over-riding this robot control and doing what it had set out to do – create havoc, destruction and despondency. Obviously the French authorities and all its allies simply did not have an inkling on what was about to unfold in the streets of Paris. 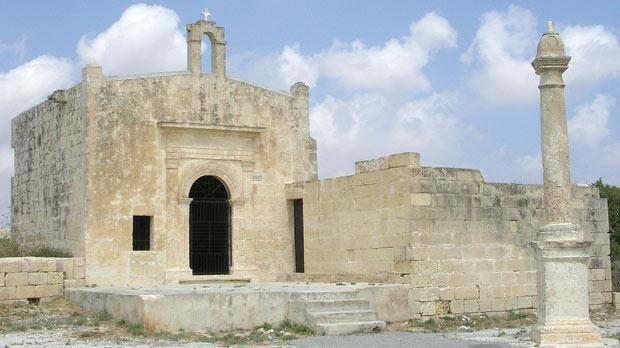 Typical village church at Gharb in Gozo. This surely was a classic case of man beating the system and emphasising the old, old adage that where there is a will, there is always a way – and that is the danger of it all. Some years back I was in London with my wife. Bill Clinton was then President of the United States and on an official visit to London. On a fine day weather-wise in the morning my wife and I decided to stroll from Victoria, past Westminster Abbey and the Houses of Parliament and on to Trafalgar Square. As Bill was in town, security was absolute, barriers, road closures, deviations and what have you. At one point Police directed us to this road and then to that and then to this and arriving on a street corner waiting to cross, a big car stopped momentarily in front of us as the driver perforce had to stop on a corner. And…there was Bill Clinton and his wife Hilary Clinton just two metres away from us, sitting in the car. Had I had evil intention, or a gun (although such vehicles are gun-proof) or a grenade or a suicide bomb vest….Bill waved at us and beamed a smile and astonished we waved back and then the car sped off. Consecrating a new bell has its own rituals. All of which leads me to Malta’s church bells. British poet and adventurer Lord Byron had described Malta as an island of “bells, hells and smells” and with over 400 churches and chapels, bells are aplenty. The big bell at Rabat. Now, let us go back in time to an era where mobiles, tablets, internet, television, radio and almost every means of modern-day communications were totally non-existent. Illiteracy was high and poverty widespread. Only the rich and famous had access to periodical publications, clocks and time-pieces. One of many Malta chaperls at Pieta’. Step forward Malta’s bells. Their function was immeasurable and absolute as the SOLE means of communication between the church and its parishioners and not purely for religious matters. 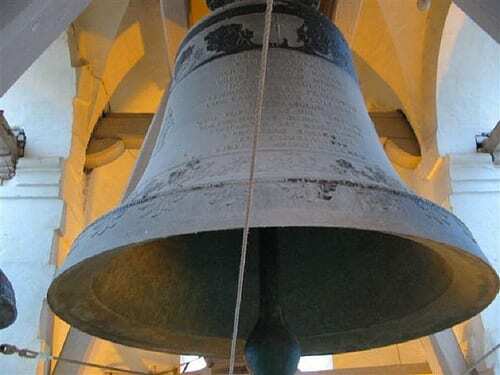 Parish churches were all equipped with a variety of bells, each bell had a different meaning and function and it was these bells that passed communications to the people, regulated their day and kept them informed of the latest news. 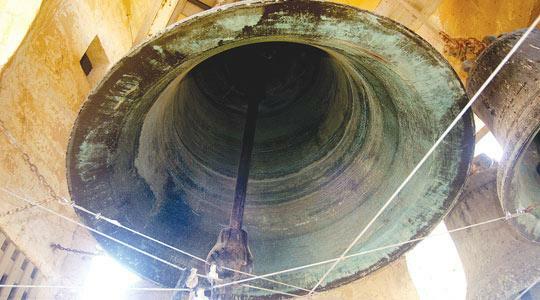 In the early morning, the big bell struck nine tones to announce the Pater Noster, the get-up-and-go bell. At 8am it struck again for all to stop and say their morning prayers; at 12 noon it struck the Angelus for noon prayers and lunch and then at sunset toned the Benedictus marking the day’s end, time for supper and off to bed. Throughout the day of course every hour and its quarters were chimed. Then there was the communication side with the striking of different bells denoting different functions. A village death of a man was denoted by five rings and that of a woman by four peals; there was even a different code for the death of a person in a neighbouring village. 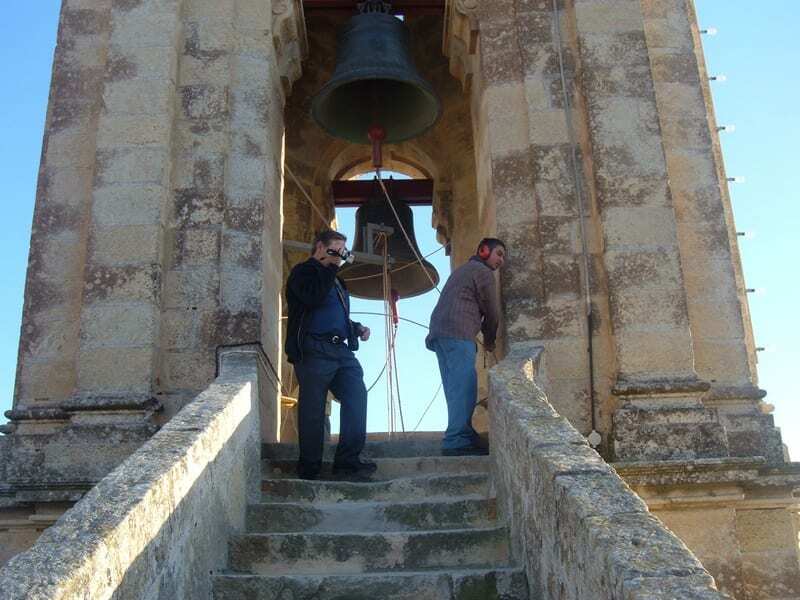 The big bell at Balzan. An approaching storm had its own peals, accompanied by a peal to scare off the devil and thwart the approaching storm. When Ottoman corsairs were a constant threat, bells would peal frantically to warn all and spread the alarm to neighbouring villages. Villages vied with each other to possess the largest and most expensive main bell to denote the wealth of the village and its villagers. The installation of a new bell even had its own ritual. 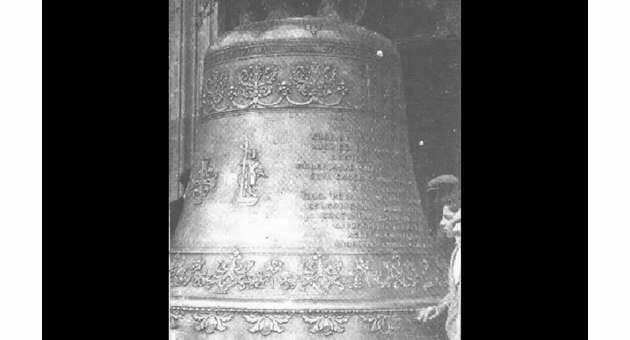 The bell would first be covered with consecrated oil. It would then be consecrated by a priest and decorated with seven crucifixes and then finally washed down with soap and water by an altar boy before being installed. 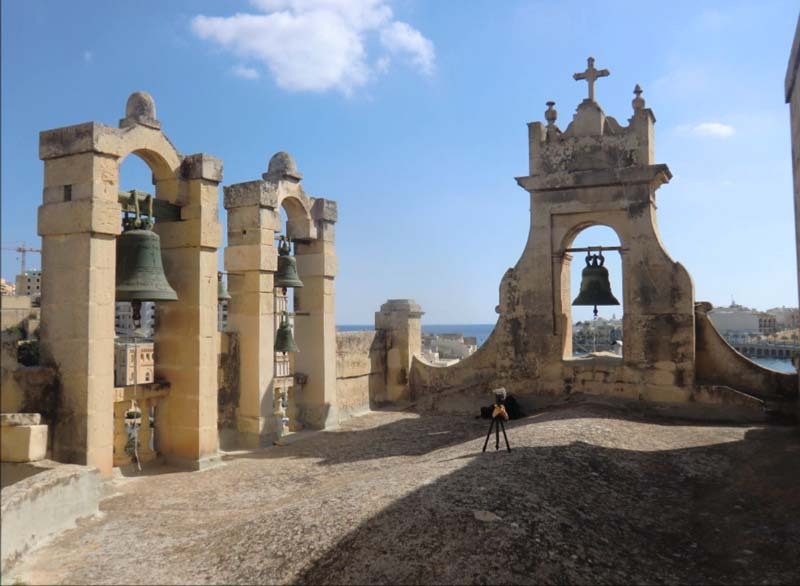 Church bells from the Zejtun parish of St Catherine. The effects of a cracked bell or some other damage signified disaster because until repaired or replaced, its absence disoriented the whole village and the whole pattern of village life. Sadly, all this is now over although bells remain paramount in all churches and chapels and still tone the hour, toll at deaths and funerals and peal crazily during festa times. “Progress” has eclipsed them, yet as with every development, at a price. 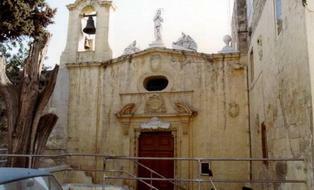 The bells at Our Lady of the Rosary Chapel in Marsascala.